Belinda Staver | Montgomery Alabama Real Estate - Search Over 3,000 MLS Homes for Sale or Rent in Prattville, Millbrook, Wetumpka & Montgomery, Alabama. 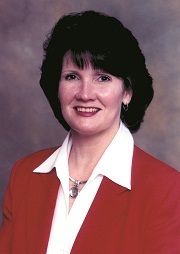 Belinda is a native of Prattville, Alabama and has lived here all of her life. She has been in Real Estate for 16 years and is a property manager as well. She has three children, Nichole who is an R.N. and works in a Neuro ICU unit in Los Angeles, California, Jeremy, a son who works with CSX Rail Road and Aaron, a son who is a student at AUM. She has two granddaughters, Carys & Lindley. She lives in the Historical District in Prattville in a home built by Daniel Pratt in 1841 for Prattville's first doctor, Dr. Samule Smith. In her spare time she enjoys Ballroom dancing and attends Centerpoint Church in Prattville. Whether you are looking to sell or buy, Belinda can satisfy all your real estate needs.